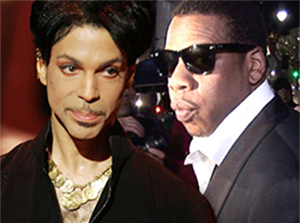 Prince’s record label is through playing around with Jay Z — it just sued the rapper’s company for illegally streaming just about every hit song the late singer ever released. But NPG says Roc Nation decided it also had the greenlight to stream almost all of Prince’s catalog, and started doing that on June 7, 2016 … which would have been his 58th birthday. NPG says none of that streaming was authorized and it’s now suing Roc for copyright infringement, and also to block any continued streaming of his music … outside of that final album. They don’t mention a specific dollar amount, but the damages would be enormous. According to the docs … Tidal jacked “I Wanna Be Your Lover,” “1999,” “Little Red Corvette,” “Cream,” “Purple Rain,” “Controversy,” “Pop Life,” … just to skim the surface. Seriously, the list goes on for more than 3 full pages.